When it comes to sales in the transportation industry, relationships are paramount. In my experience, the strongest relationships between carriers and shippers come out of ‘delivering on the promise’ – that is, doing what you say you’re going to do. To sum it all up: Integrity makes all the difference. Jeff has built his career in truckload transportation since 1986. He has served a full spectrum of roles in operations and sales, including such positions as dispatcher, terminal manager, and division manager. 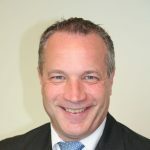 His sales background includes service with Metropolitan Trucking as National Accounts Manager, TRL as Regional Sales Manager, Trans-States Lines as National Accounts Vice President, Central Refrigerated Lines as Dedicated Services Sales Manager, and Jim Palmer Trucking as Director of National Accounts. In 2017, Jeff was recognized with the Transportation Marketing & Sales Association’s premier Sales Executive of the Year award, for outstanding performance, ethics and business acumen. He currently serves on the Board of Directors for the International Refrigerated Transportation Association (IRTA) as well as the Transportation Marketing & Sales Association (TMSA) and actively stays on the cutting-edge of transportation industry trends and developments. In 1992, Jeff earned a Certificate of Management in a continuing education program at the University of Scranton. He has three grown children and seven grandchildren and resides in the Pocono Mountains of Pennsylvania. Along with spending time with his grandchildren, Jeff enjoys many outdoor recreation activities including hiking, biking and exploring our National Parks and wild lands.